The Test Ride Immouzzer/Paradise Valley leads us in one of the most beautiful areas of whole Morocco. 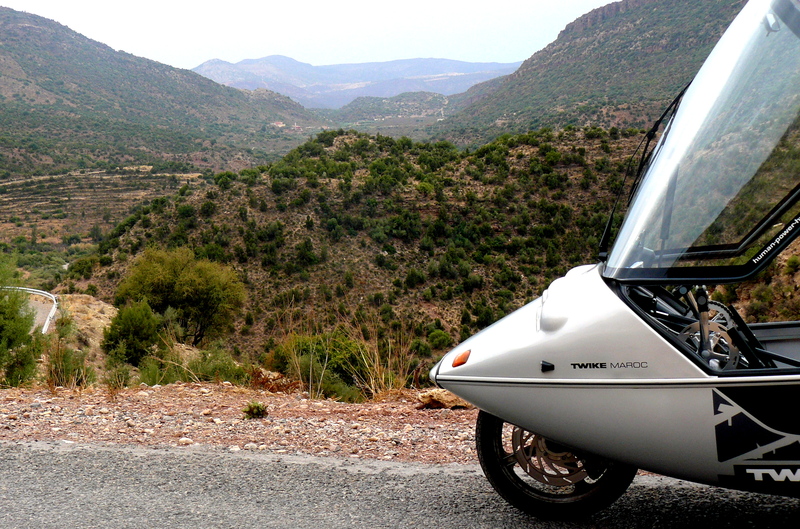 It is a great region to test a TWIKE, the first electric vehicle in Morocco. 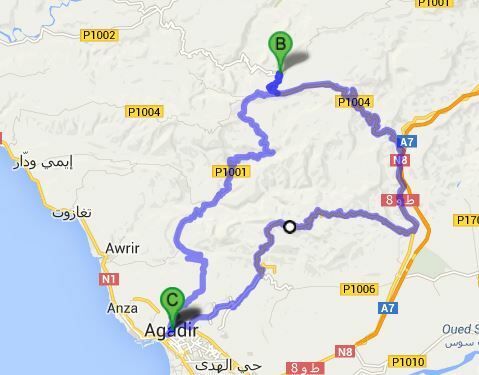 We start in the morning with several TWIKEs (# depends on booking) from Agadir. If you want to be your own pilot you will first get well-instructed driving lessons to feel yourself comfortable by piloting your TWIKE. Of course you can just enjoy your ride as a co-pilot as well. Don’t worry; in case you are driving by yourself we will do several stops. Our breakfast we will take at the Atlas Kasbah (15km from Agadir). Then we feel ready to head on a tiny quiet road. 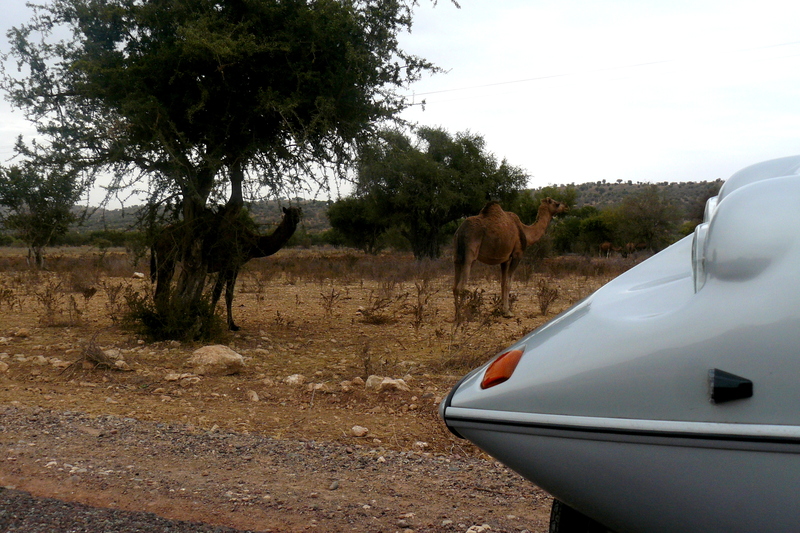 Watch out for camels, goats and donkeys on the road. And then we reach the pre-mountain zone, ready to climb up. Enjoy! This is the beginning of the paradise valley. It is hardly to describe, you have to look at it by yourself. It is surely breathtaking. A small road winds slowly downwards and you feel like in paradise by all the palm-tree surrounding. The valley follows the way along a carved out road by waterfalls thousand years ago. Several nice spots are used to sun-bathing, relaxing on warm rocks and for cooling-off at several plunge pools. Don’t forget to take your swimsuit with you! It is a unique location with an appearance of an untouched natural beauty, like paradise! Let’s go on a small walk! 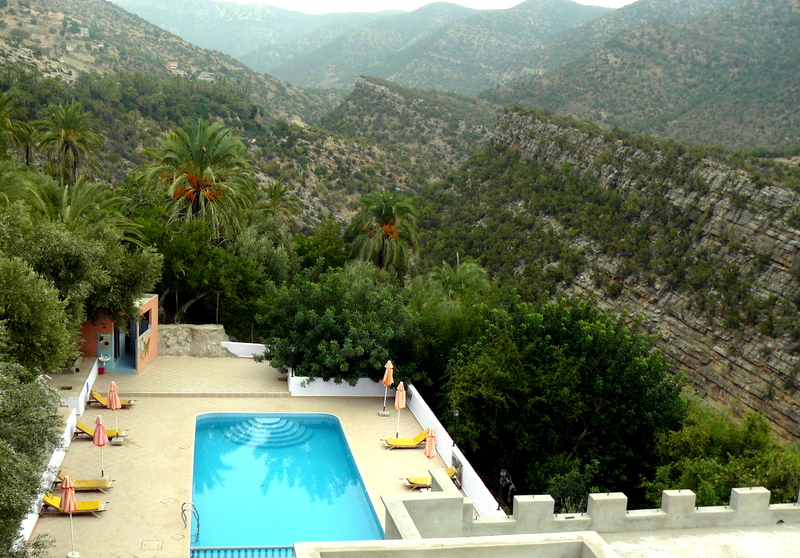 We’ll leave the vehicles and start a 15 minute walk to one of the nicest natural swimming pools of North Africa! You’ll need good foodwear to go on walking. Enjoy and relax in the center of Paradise Valley. Small Cafes are welcoming you at the river side. 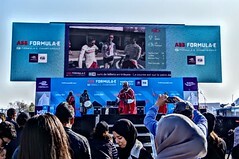 In the late afternoon we will head back to Agadir. More pics as well on flickr.